Monday the 29th June was my 27th birthday, it was also a day that I spent up to my ears (literally) in weeds. Due to it being my birthday both Rob and myself had booked the day off work. The initial plan was to go for a cinema date but that went swiftly out of the window when the allotment key came through. Instead we packed up our flask and boots and heading out for a day at the allotment. With so much to do it was hard to know where to start. 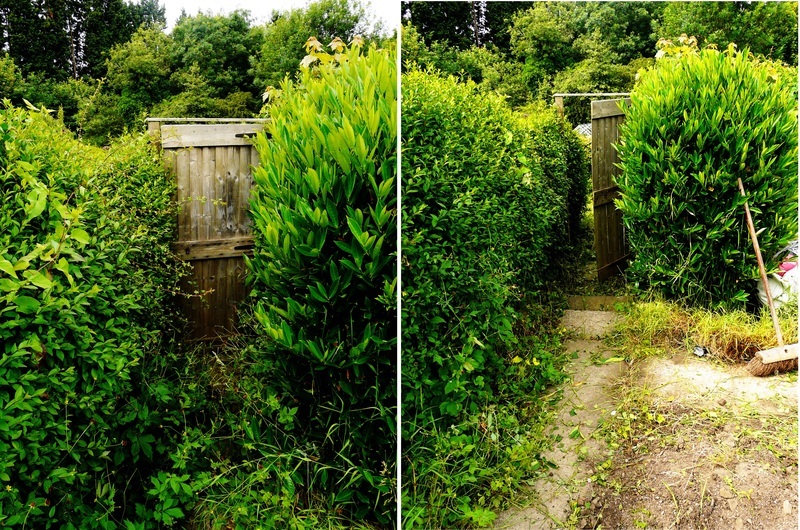 I happily went pottering around to see if there were any treasures lurking amongst the weeds, while Rob took a more practical approach and decided to clear the entrance way so at least we wouldn’t have to fight our way in next time. He did a rather good job and seeing difference in that corner certainly got the motivational juices flowing. Upon inspecting the beds some turned out not to be as bad as others, the top few in particular had managed to avoid the worst of the grass. 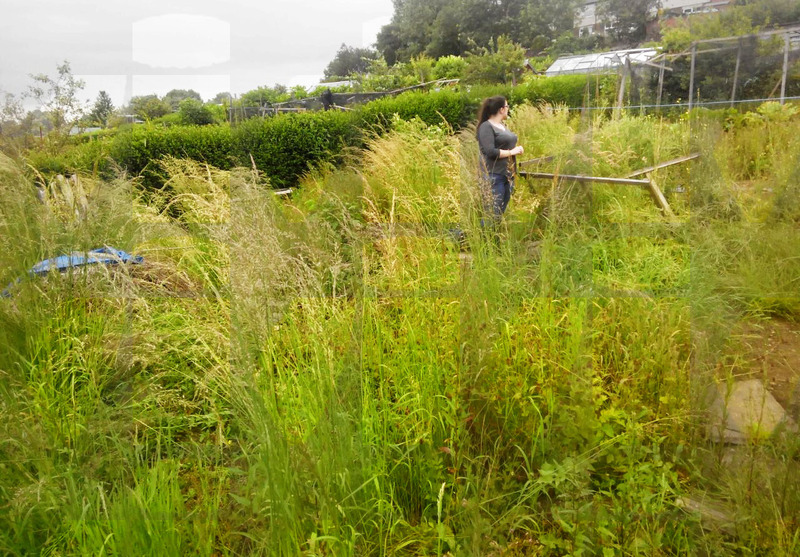 The bottom one, however, is a knotted mess of long grass so has largely ignored for now. 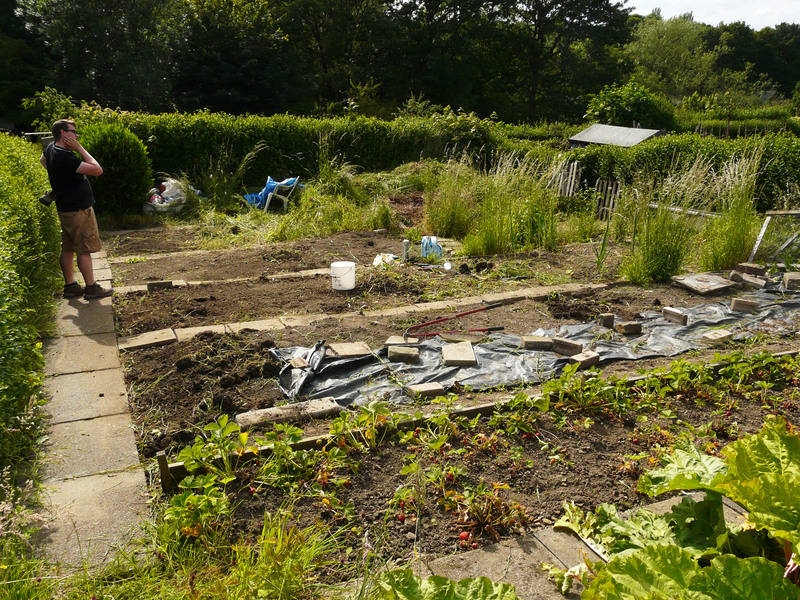 We concentrated on the top few beds and made encouraging progress in just a few hours. and this was the view at the end of the day….. When we first arrived at the plot I honestly thought it would be at least a month till we could get our first crops in the ground, now it’s looking like we might be planting in a week or two! 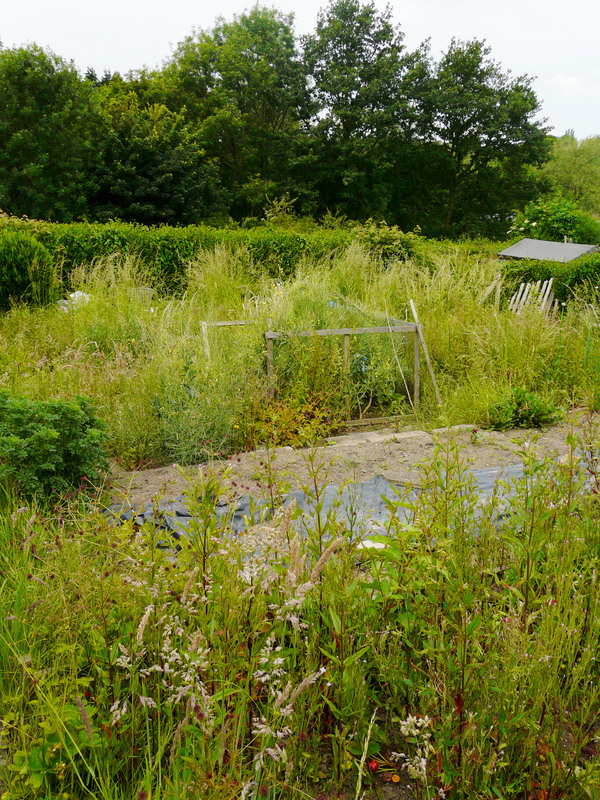 One of the neighbours informed us that the couple who had it previously only gave it up this year so I don’t think the weeds have had chance to root too deeply yet. The soil is still in excellent condition and shouldn’t need much work other than digging over this year. I’m hoping to get some manure laid over winter and let the worms do their thing in order to keep it in such good condition for the years ahead. You’ve done an amazing clearance there! Well done, good job. I look forward to seeing how you get on.